Only a few ideas so capture our imagination that they imbue objects with universal meaning. 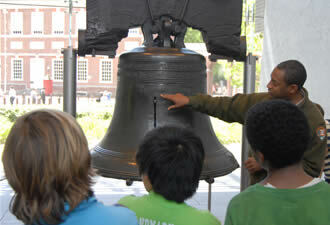 In 1776, the ideals of democracy and liberty gained new expression in Philadelphia, and the United States was born. Independence Hall and the Liberty Bell – visited by four million people each year -- now stand as symbols of the American Revolution and the founding of our nation. 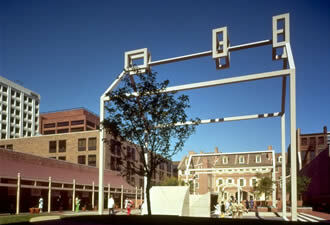 Independence National Historical Park today covers almost 55 acres in center city Philadelphia. The park includes Independence Hall, the Liberty Bell, Congress Hall, Franklin Court, and other historic buildings associated with the founding of the United States. It was here, in Independence Hall, that the Continental Congress voted on and approved the Declaration of Independence and representatives of the states at the Constitutional Convention drafted the U.S. Constitution. Here, from 1790 to 1800, when Philadelphia was the nation’s capital, the promises and paradoxes of liberty were put to the test as the creators of a new government confronted the horrors of slavery. The Liberty Bell’s inscription conveys a message of liberty that resonates through time: “Proclaim LIBERTY throughout all the Land unto all the inhabitants thereof” (Leviticus 25:10). Abolitionists were the first to call it the Liberty Bell, and the Bell traveled the country to heal the divisions of the Civil War. Today, the Liberty Bell continues to remind Americans of our shared heritage and our struggles to establish and preserve independence. Next door to Independence Hall, Congress Hall served as the meeting place of the U. S. Congress from 1790 - 1800. The presidential inaugurations of George Washington (his second) and John Adams happened here, and the United States Congress established the First Bank of the United States, the Federal Mint, and the Department of the Navy. Franklin Court is the site of the home of Benjamin Franklin, who lived here while serving in the Continental Congress and the Constitutional Convention. Today the site contains a steel "ghost structure" outlining the space where Franklin's house stood. Visit the underground museum to see original artifacts from Franklin’s life, an 18th century printing office, architecture and archeology exhibits that reveal fragments from Franklin’s time, and an operating post office and postal museum. 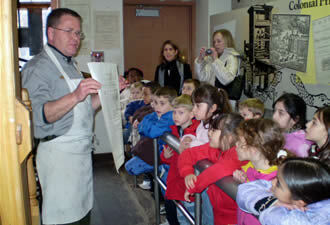 Come during the winter to take advantage of several special events. Celebrate the winter birthdays of George Washington, Benjamin Franklin, and Thaddeus Kosciuszko. Seek refuge from the cold in the beautiful Second Bank of the United States, where a park ranger will take you on special birthday tours of the portraits in the “People of Independence” exhibit. Or visit the archeology lab in the Independence Living History Center. The working laboratory processes artifacts recovered from archeological excavations in the park. Each discovery reveals the diverse stories of everyday Philadelphians during the 18th and 19th centuries. Watch archeologists at work as they piece artifacts together – feel free to ask questions to learn more about how they unearth our past. Winter is a relaxing time of year to visit Independence National Historical Park without the rush of visitors that come during the summer. In January and February, no tickets are needed to visit Independence Hall. The park is open daily with the exception of December 25. Stop by the Independence Visitor Center (6th and Market Streets), where a park ranger will help you customize your experience or visit the park’s visit-planner to map your adventure into history.